A two judge bench of the Supreme Court comprising of Justices Dipak Misra and P.C.Pant has affirmed that once an employee is an “insured person” under Section 2(14) of the Employee State Insurance Act, 1948, neither he nor his dependents would be entitled to get any compensation or damages from the employer under the Workmen Compensation Act, 1923. The matter pertained to death of the husband of appellant 1 at the place of employment. The Labour Court awarded a sum of 3 lakhs + 18% interest under the 1923 Act to the legal heirs. The employer, (the respondent), took two fold stand, namely, (i) that the legal heirs of the deceased-employee were not entitled to get any compensation under the 1923 Act as the deceased-employee was an insured person under the 1948 Act, and (ii) the accident did not occur during course of his employment as the death took place due to coronary disorder, which has nothing to do with the work place. The labour Court had framed two principal issues, namely, whether the accident had occurred during course of employment of the deceased-employee, and whether the legal heirs were entitled for grant of compensation. The High Court analyzing the evidence on record and the stand put forth by the employer affirmed the view expressed by the labour Court that the deceased was an employee under the respondent-firm and he has breathed his last during the course of employment. As far as the applicability of the 1923 Act is concerned, the learned Single Judge opined that the legal heirs would not be entitled to get compensation under the 1923 Act as he was an insured person. 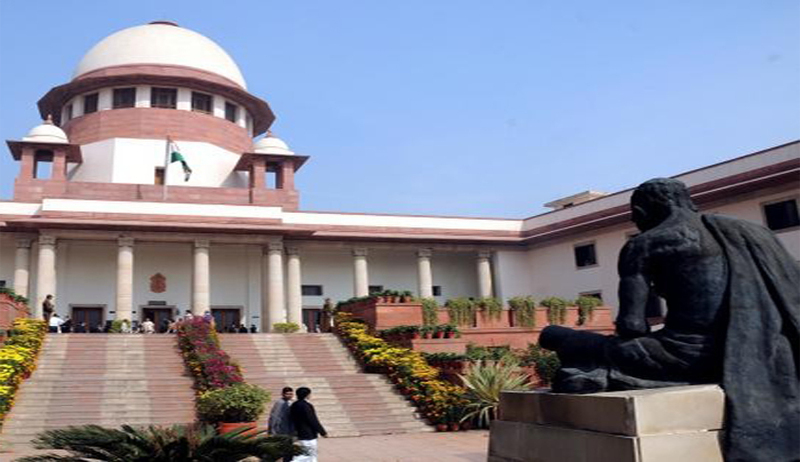 The Bench speaking through Justice Dipak Misra held that the status of the employee and the factum of his breathing last during the course of employment, cannot be called in question. The only question that remained for consideration thus was whether the High Court was justified in denying the benefit under the 1923 Act. Relying on precedents, it was affirmed negating the contrary views that legal heirs of a deceased employee who was insured under the 1948 Act cannot claim compensation under the 1923 Act also. The court was hearing the matter for final disposal and last year the employer had been directed to deposit a sum of 4 lakhs with liberty to the appellants to withdraw it. The appellants had withdrawn it and while dismissing the appeals the bench did not deem it fit to direct them to refund it.